Ocean Software (or Ocean Software Ltd.,Ocean of America, Inc. or short Ocean) was actually one of the biggest European video game developers and publisher of numerous games in den 80s and 90s. The company was founded by David Ward and Jon Woods at first as Spectrum Games in Manchester in 1982. One year later it was already renamed to Ocean Software Ltd.. In 1984 Ocean took over the competitor Imagine from Liverpool and bought the rights from Konami for their arcade games in the same year. Ocean's idea was now to publish movie licenses and own developments under the label Ocean, while the label Imagine was used to release the Konami licensed games. Hyper Sports, Ping Pong, Mikie, Green Beret, World Series Baseball, Yie Ar Kung Fu I and Yie Ar Kung Fu II were only a few of them. Ocean reached a high degree of popularity also in the following years by realisations of famous movies and TV series. 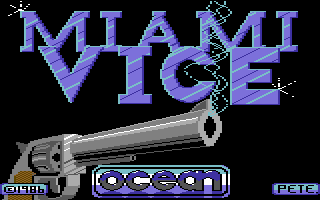 In 1985 Ocean secured the movie licenses for Miami Vice, The City Cobra, Knight Rider, Highlander, Rambo and V: The Series. These were mostly not well converted and therefore only received mediocre evaluations in the tests of the game magazines. After a series of bad games, the year 1986 was a low point for Ocean. Martin Galway had said at that time in an interview, that his music has lead to some additional game sales and that Ocean was grateful for this. The only rescue in this year was an excellent realisation of Green Beret and the game Parallax by Sensible. In the same year Ocean secured further rights by Taito and Data East. With this, games as Chase H.Q., Rainbow Islands, Arkanoid and Operation Wolf could be released in the following years. In 1992 the last 8 games for the C64 were released, whereby Ocean's last game on the C64 was Sleepwalker. The game was produced to advertise for Comic Relief (a British charity organisation). All the turnover from the sale of the game went to the aid organisation. Between 1993 and 1998 games for the systems Amiga, Windows, Playstation, Game Boy, Nintendo N64, Atari Jaguar, Super Nintendo and Sega Genesis were developed, whereby the last game by Ocean was released for the Nintendo 64 with the name GT 64: Championchip in 1998. It was published at 8th September 1998. Towards the end of the 90s, when the 16bit era drew to a close, Ocean had problems to release new software for the following systems. In 1996 Ocean was bought out by Infogrames for £100.000.000 and renamed Infogrames UK. In 2004 it was again renamed to Atari UK and since 2009 the company carries the name Atari, Inc..
During the full history of Ocean, 178 games were released and 48 games were developed. If you are interested in further details of Ocean's history, you can read the book The History of Ocean which was released in 2013. In 1989 Ocean was awarded the British Golden Joystick Award in the category Software House of the Year. Due to the long loading times of the widely used datasettes in the 80s, Ocean programmer Paul Hughes developed the Ocean Loader. This was an image with background music, which appeard while the actual game was loaded. With this the long loading times could be bridged. The Ocean Loader in its different versions gave the label a high recognition value, which keeps stuck in the memory of the users of that time until today. The first time that an Ocean Loader was officially used was Daley Thompson's Olympic Challenge with music by Martin Galway. But this does not count as version 1. The first famous (version 1) Ocean Loader was published with Hyper Sports. 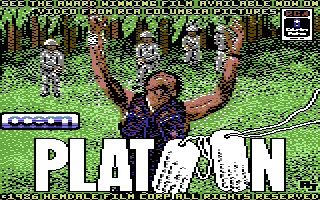 Rambo was the only game that got its own music. Ocean Loader 3 with music by Peter Clarke titled: "Ocean Dries Up"
This page was last modified on 6 April 2018, at 04:19. This page has been accessed 16,853 times.